Even if you don’t know David Herrero by name, there is a good chance you’ve heard his productions or have seen him DJ somewhere. With releases on such venerable labels as Cr2, Nervous, and Defected that have been supported by the likes of Marco Carola, Loco Dice, Nic Fanciulli, Richie Hawtin and many others, as well as having played at internationally known clubs like Space Miami, it’s pretty obvious that David has quite a bit of experience in the underground music business. He didn’t produce his own track. Given the sheer number of productions with his name (nearly 600 releases on Beatport), and in light of the known and rampant use of ghostwriting in the industry, we find it highly suspect that he would actually have that much creative juice running through him (especially after listening to several of his tracks). He didn’t realize that he didn’t have or need permission to use the vocals. There is always a chance he is just an idiot, even despite his proclaimed longevity and knowledge in the industry. He just plain old-fashioned thought he would get away with it. He would have gotten away with it too if it wasn’t for those meddling kids interwebs. Personally, I think it is a combination of all three (keep in mind, the original track is titled Transition and David’s is Make Your Transition, I mean come on). Unfortunately, in the end, I suspect we won’t hear from David and that the offending track will eventually be erased from the internet as much as possible. Even Chus & Ceballos’ reply to Cornelius was a meek and garden variety, ‘whoops we had no idea’. But I am curious, how many other people have been ripped off by this “artist”? Feel free to let David know your own thoughts on the matter. At the very least, you can always, gently, educate him it is never a good idea to mess with Underground Resistance and that maybe he should offer Cornelius an apology. 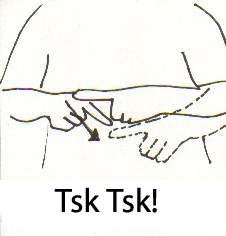 Seems there is another very similar rip off by Gonzales & Gonzalo on KD Music. Via the wonderful world of the interwebs and social media a big no-no was brought to our attention. There has been a lot of talk (again) of ghostwriting and people getting credit for work they didn’t do, but we have for you an example that is on the extreme end of that spectrum. First, enjoy this wonderful piece of house music by Tim Deluxe on Underwater Records that was released in 2001, pay special attention to the sax (by Jamie Anderson) and around time mark 3:30. Finally after all my labels works I had some time for my passion. Making music. This is what happens when you put me, a talented saxophone player and some whisky in a room for 48hrs!! Chicago representing!!! This, kiddies, is another important reason as to why it is ever so important to do your homework and understand there is a wide breadth of great music out there: to prevent scumbags like this from making money off of work that isn’t theirs. Even giving Faker Xavier (as he shall henceforth be known) the benefit of the doubt that maybe, yes, he was super drunk on a two day whiskey binge and maaaaaybe he just got confused and was making a song while ripping a classic track from the youtubes and, yes, some file names got crossed and he accidentally submitted this track to the distributor instead of his super awesome original, even granting him all that, he’s still an idiot. And a bad label boss for not doing some quality control. While I haven’t seen any response by Faker Xavier just yet, I’m anticipating either the Vanilla Ice defense (mine goes ding ding ding *ting* duh-da-ding ding) or something akin to Lady Gaga’s “it was just a tribute” route. Either way, shame shame I know your name, Faker Xavier. But to be fair, maybe there is a good explanation; like he is also friends with Jamie Anderson and they were so drunk they just inadvertently made the same song or in some weird cosmic coincidence two pairs of people at two different times more than a decade apart just happened to make the same track. Let’s make a game of it shall we? Come up with your best excuse explanation for either why this isn’t the same song or for why this was just a simple mistake. Ready, set, go. DJ Rip (off) is “officially” blaming it on a label error as the label (him) can’t possibly catch all the submissions that are previously released. But… um… his name was on the track for his label, so a) did he not catch his own fraudulent submission or b) did he steal someone else’s fraudulent submission and slap his name on it? Looks like the song has been removed from Traxsource. Good job to everyone who made some noise on this… who’s next? Not long ago, the interweb was abuzz with some potentially interesting discussion regarding dance music ghostwriting. Unfortunately it was short-lived and the parts of the discussion that had any real value never fully materialized. While a few articles claimed to oust some ghostwriters, they did little more than praise artists like Benny Benassi (known ghostwriter) for their hustle. Really, there should have been at least a hint of discussion about how ludicrous the whole enterprise actually is. The discussion has since been abandoned with a hastily adopted conclusion that the whole thing falls into the ‘no harm no foul’ category. Something to the effect that if the ghostwriter is ok with the terms of the contract they signed and if the person who attached their name to the work has no moral dilemma with purchasing the illusion that they possess some skill, then there is no problem. Before you subscribe to such monetarily-centric industry behaviors, let’s put a few of the important aspects of this trade into focus. It should first be made clear that really, the ghostwriter is not to blame. It takes tremendous hustle to make ends meet in today’s economy, especially by way of the music industry. Having talent alone isn’t nearly enough to survive, even for those few of a kind that can produce more than a single potential hit. 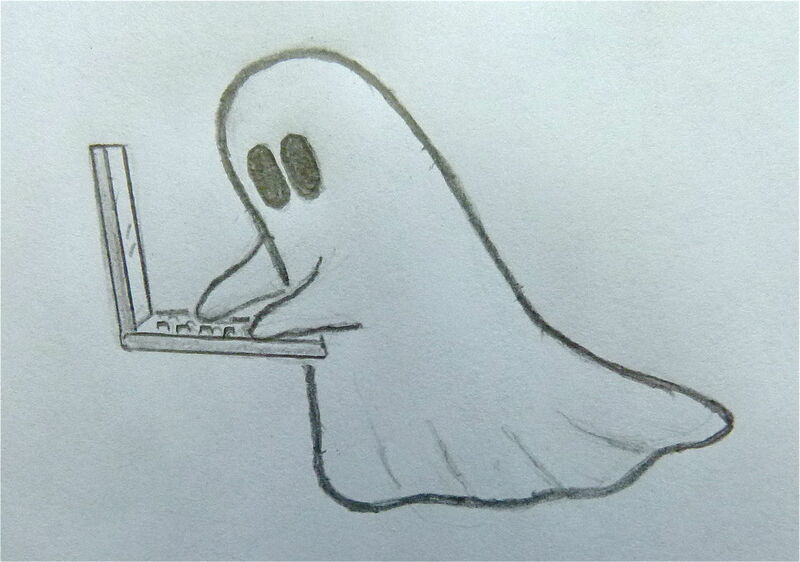 Ghostwriters alone may not have the infrastructure, contacts, or financial backings available that are needed to make music a successful hit. This is of course assuming that they even wanted to be in the limelight in the first place. The ghostwriter is also clearly more interested in choosing money over artistic integrity by the very fact they are parting ways with their creation in order to let someone else take the credit for a few (or many) bucks. There is no mistake or confusion as to what their goals or intentions are in regards to their work. They are in it to make money, clear and simple. The person attaching their name on the bought work, however, is a liar. They are living a lie and they are selling a lie. People often cite artists like Elton John, Elvis, or any of the countless artists who are not only well known for not writing their own music, but also for becoming quite famous as a result of the songs that the ghostwriters provided them. There is an obvious, but unfortunately, overlooked difference in having a ghostwriter provide you with a song that you in turn PERFORM LIVE for an audience compared to a song you simply PRESS PLAY for an audience. Artists like Elton John still perform the song. They bring their own talent to the equation, a piece of themselves, as well as some actual effort to the piece. Even when assuming the extremely unlikely scenario that a DJ/Producer who is willing to slap his name on someone else’s work in turn actually mixes it in to his own set (and yes some DJs buy premixed sets to play out for ‘live’ shows), are they really bringing any talent to the performance? Wouldn’t this then give him the right to lay claim to every song he plays in his set as his own by proxy? 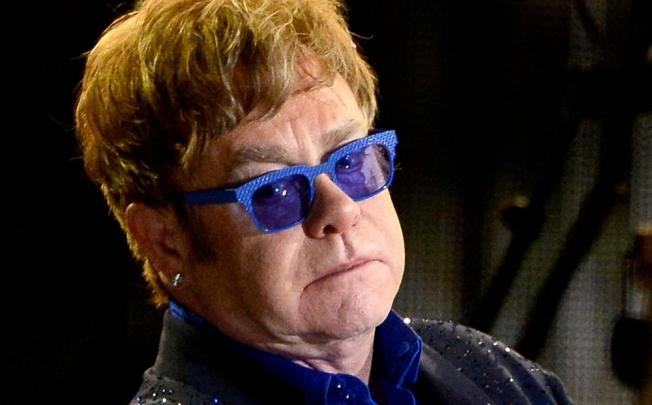 The short of it is that they aren’t selling a track as a result of their performance of it or really anything they are adding to it, as is the case for artists like Elton John. For a producer to even qualify as having talent they need to actually produce, for a DJ, they need to actually mix (and mix live at that). When you buy either of these tasks and slap your name on it, it just makes you a lying fraud. These credit usurping talentless frontmen that do so are no Elton Johns, rather, they are more akin to Milli-Vanilli than anything else. If we didn’t stand for Milli-Vanilli’s pedantic synchronized dancing and lip-syncing nonsense when they were called out, why should we stand for any of these Jesus posing sky-pointing fakers? At this point some people might be tempted to spout off some rhetoric nonsense like ‘if the people like the music, have a good time and are none the wiser, what difference does it make? Who gets really gets hurt?’ The industry gets hurt and the consumer pays the price, quite literally. Not only are consumers buying and perpetuating a lie, they are elevating these glorified lip-syncers to millionaire status. Consumers are unknowingly perpetuating a system where imitators keep raising their performance prices, which in turn further gouges the consumers when it comes to performance costs, all in the name of paying for the artist’s increasing cost of their lies and fame greed. 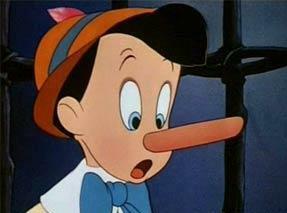 Dance music has become increasingly caught in a vicious cycle of paying for lies. As always, Not Your Jukebox seeks to remain a champion for art, truth, consumer awareness, and to encourage others to do the same. Don’t pay for lies and fame greed, demand better. Now that the great Format Wars of the last decade have been reduced to a few occasional skirmishes, fought with talking points tossed around by both sides, it would seem that, for better or worse, non-physical media is music’s destiny. Even with vinyl making a remarkable spike in sales over the last few years, it is unlikely that we will ever see a physical medium as the norm for housing music again. MP3s have forever changed the audio landscape; I mean what’s not to love about them? You can have thousands of songs and the only space they take up is virtual. You can email a song to a friend and they can instantly listen to it just about anywhere on a plethora of devices, and with a little know how and a short internet search you can gain access to just about any song ever made, for free. Considering how much joy the little buggers have brought to the world how could anyone possibly speak ill of them? Aside from, of course, the fact that you can’t ask an artist to sign an MP3. Whether your music collection consists entirely of free downloads or you took the “moral high ground to support the efforts of the artist” and paid your dollar per song, the fact remains that there have been unforeseen costs with this format change that the $0.99 price tag doesn’t cover. Music has been a consumable product ever since the very first mogul realized that he could record some music and sell it for a profit. MP3s have now taken things a step further and turned music into a disposable product. You can download a song you like (foregoing the entire album if you so desire), listen to it a few times and delete or forget about it as soon as the next hit song comes around. This mentality has caused much of the industry to become even more formulaic than ever in order to turn a profit. There is also less of a risk for labels now as productions costs allow them to throw whatever they can to see what sticks, effectively removing any filters of quality. No longer exists the mentality that you buy an album and treat it with more permanence. Picking out music carefully, intentionally, and spending money only on that which connects most to you. Most of the filtering on the consumer end is gone as well, now it is more a matter of ‘this sounds good right this second, buy it, bored with it, next’. This leads to people being less likely to become genuine fans of artists as they are building a short-term relationship with a song instead of a long-term relationship with an artist’s body of work. This has become especially true for DJs. Once upon a time, good DJs tended to be a lot more selective about what they played, if not simply as a result of the cost alone. They would immerse themselves in the music, learning every high and low in order to work a carefully selected song into a set as a piece of the story they were telling and get the most out of that song as they possibly could. Records would continuously make their way in and out of the crate depending on the gig, some never leaving at all. Now DJs often buy a new set for every gig, exchanging most of the tracks in their set for whatever the most currently released version of their cookie cutter music happens to be that week. It is no wonder that so many DJs/Producers resort to putting so much attention on a stage and light show, it has become the only way to tell them apart and keep people interested since the garbage music isn’t doing it anymore. In short, there is very little connection to the music anymore, which seems to ultimately miss the point of music in the first place. While pop music has always been a part of the corporate machine and void of any substantial culture, dance music was on the fringe, in the underground and rich in culture. The culture is already suffering at the hands of the current transition to the mainstream and subsequent corporate takeover, but at an accelerated rate thanks to MP3s. Interpersonal exposure to music has become much more removed and impersonal. People may in fact be sharing new music more than ever, but really, the quality of sharing is greatly diminished. Sending a file to someone for them to listen to doesn’t have the same impact as people being in the same room and listening to it together, something much more common when music was shared via a physical medium. There is no way to truly gain insight and understanding of how a person sharing the music interprets and connects to the piece without being present. You aren’t just sharing music at that point, you are sharing an experience, which ultimately deepens the connection to a piece or artist. 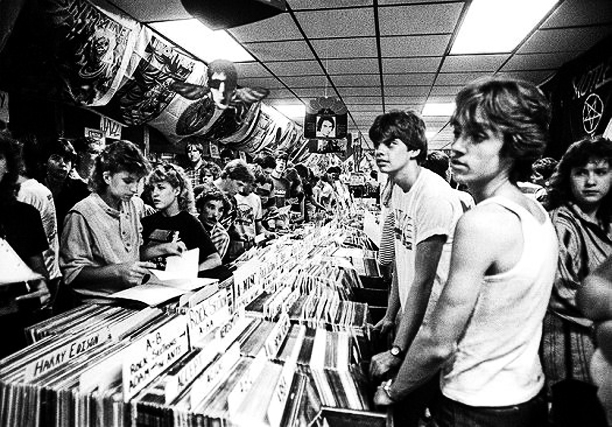 Similarly, something important is also lost by way of no longer going to a music store to discover new music, specifically, interacting with people behind the counter or the other people that are browsing in the store. While ultimately music is deeply personal, we only expose ourselves to new music through a very narrow lens. Interpersonal connections play a very important role when it comes to music exploration and understanding, all the blogs, Kazaas, Napsters, and Pirate Bays in the world can’t replace that. It saddens me to think that there is an entire generation out there that has never experienced a boutique music store, being opened up to new sounds by someone who has an unmatched passion for all things underground and rare. Most importantly, for DJs, with record stores came the ability to create a unique sound for a region and an individual DJ. A store would have a limited amount of space and copies of a track so both shop owner and DJ would have to be discerning about what to buy. While a few cities still have a reputation for focusing on a particular sound, the internet distribution of music has destroyed the possibility of a regional feel as more and more people have access to all the same music and end up playing the same Top 10 tracks. Unless you work for a record label or are good friends with a ton a producers and getting tracks before they are released, finding that secret weapon that is unique to your set/region is an impossibility. In fact, all anyone has to do now is hold up their phone during your set and they can instantly download any song you play. Over all, the music industry has long been lost to the philosophy of quantity over quality. While labels have always been concerned with doing whatever it takes to achieve the highest sales numbers, that system is more prevalent than ever. And don’t be naive and think that music is popular or sells on its own merits alone, good music doesn’t magically fall into the awareness or the hands of the masses, that is just not the reality of the music industry. Record sales have migrated to individual song sales and the labels push individual songs more than albums or even the artists making them. Even worse, labels work harder to monetize songs via ad revenue from sites like YouTube than they do investing in the artist with any real A&R of legitimate value. An album now needs to be a compilation of hit singles rather than a complete piece of art with a one or two breakout singles. There is a reason you can go to a massive/festival and every song sounds the same, the industry is about selling a formula, one that can be duplicated and pushed on to the consumers for the maximum possible sales results. For independent music, digital retail sites like iTunes and Beatport are the only ones making any real money (a third or more of the sales) and they thrive through saturation even more so than the labels. There are no industry filters anymore, anything goes and the mentality is now ‘the more the merrier’ to increase the chances that they get something that actually sells well. In more ways than one, this makes the business side of Top 10 playlists even worse in that it perpetuates the must play mentality, if for no other reason than very few are willing put in the effort to dig through all the crap when ten popular songs are a few clicks of the mouse away. This ultimately prevents a lot of legitimate art from being heard and supported, further ensuring the monotony that is the dance music/Top 40 scene of today. I’m not going to drudge up the thoroughly debated quality of digital vs analogue sound issue, as it ultimately doesn’t matter when people are primarily listening to music through earbuds, computer, and portable Bluetooth speakers. People, for the most part, don’t seem to care about the quality of sound anymore, otherwise they wouldn’t settle for MP3s (which by their very function down sample music and remove elements of the original sound) through their cheap headphones. This is already assuming it was originally produced at a higher quality to begin with, which for a lot of electronic music is becoming less and less the case. Again, it is no wonder that we are saturated with a bunch of formulaic sounds, produced by people with no understanding of proper production methods, and are bounced to an MP3 in order to be posted on a digital distribution site by way of their or a friends ‘label’. MP3s have helped considerably to make mediocre music acceptable and standard. 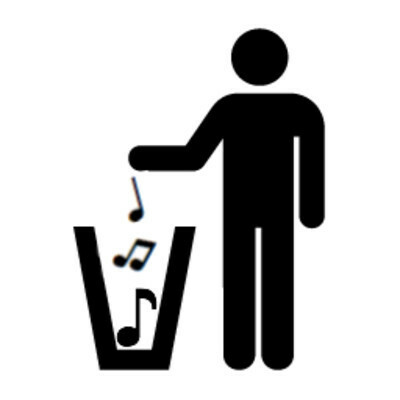 Don’t get me wrong, I’m not asking you to dump all your MP3s in the trash but to rather, at the very least, just recognize that there are valuable aspects of experiencing music that are lost as a result of the format shift. If there is even a solution out there to regain what has been lost, we won’t find it until we first realize that there even is a problem. In the meantime there are always the well known and basic ways to help maintain a higher quality of music experience; support physical releases on CD or vinyl, support full albums, buy music and then actually listen to the music consciously from time to time instead of in the background while doing something else, learn the history behind genres and artists, interact with people and listen to music together in person, dig for music instead of looking at fabricated charts, and support independent, lesser known, and local artists. Let’s work together and make quality matter again. On the surface it sounds great, an idyllic call to the masses: Peace, Love, Unity, Respect. It was, in part, a response to the hammering the underground/rave scene was receiving from the media and government in the late 90’s. Parties were being shut down with extreme force, DJ’s were being arrested, the RAVE ACT was threatening to destroy everything we had worked so hard to build, and the media was fanning those fires. PLUR was meant as a flower in the gun of all the misconception and hatred aimed towards the culture. 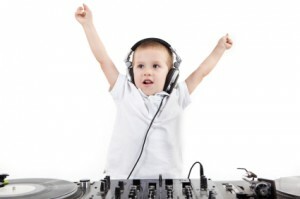 By the turn of the Millennium the small candy kid based movement started gaining traction and went from joke fodder to one of the most commonly used phrases within dance music culture. While it may have originally had the pure and innocent intentions of creating a utopian environment it has instead become a gateway for the apathy that plagues the culture. Further, it has opened the doors to those that demean and destroy the quality and meaning of the electronic music world. I am speaking specifically of the ‘unity’ portion of the concept. As a generic concept unity is fantastic, the idea of the music bringing people of all backgrounds together by way of a common ground is admirable. But when we start to examine the kinds of people that have been ‘unified’ into the culture, we see that the music and culture did not change them for the better as was intended, but rather they changed the music and culture for the worse. This is not a unique phenomenon, history is littered with various cultures and peoples opening their arms to newcomers only to be slaughtered by those very people that they were welcoming. It really is ok to not want some kinds of people in our culture. Had we been a little more xenophobic we wouldn’t have news alerts like Paris Hilton securing an Ibiza residency, or SFX buying up every promoter they can with the philosophy that (and I quote) “…it’s not really based on dance music, as much as the event.” Had we been a little more discerning we wouldn’t have a saturation of mediocre talent that cares more about money than art and craft, little kids running around in their underwear more concerned with how many people pay attention to them rather than actually dancing, or end up being asked to pay ridiculous sums of money to hear posers auto-play and/or sync the same five songs all night. Sadly, because we trusted that the music could and would enlighten everyone the way that it did us, we have allowed our culture to be bombarded with douches and sluts who have created a world where the music is no longer the important part of dance music culture. Maybe the U should have stood for ‘Underground’ or ‘Understanding’ because ‘Unity’ didn’t do us any favors. Over the years quite a few people have offered me money to teach them how to DJ, a few have even suggested that I start my own DJ school. My answer is always the same, I can’t in good conscious charge people money to teach them what they should teach themselves for free. Now that DJing has saturated the mainstream there have been an abundance of people looking to learn the trade and an increase of organizations willing to take their money. In theory, DJ schools seem to have value, but in reality they are generally not worth the money they extort from eager would-be DJs. DJ schools are exploiting the belief that you will get at least two things of value from attending. One is exposure and time spent with gear, the other is having someone to walk you through the basics (assuming you lucked out and actually have a competent instructor who has a successful DJ career). Sounds like a great deal, especially if you aren’t quite sure if DJing is right for you or if you are looking to fast-track your way into the spotlight, right? Wrong. They are ripping you off. Even if there is a promise of some sort of fancy certificate or a “live gig” at the end of the course, you are being charged for a short period of time that will not allow you to obtain a skill level worthy of a paid DJ. Unless you happen to have unlimited funds for hundreds of hours of training, you are better off saving your money. 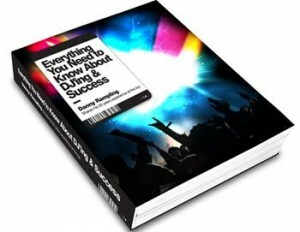 You’d be hard-pressed to find a successful DJ that attributes their success to a DJ school. If you are unsure of whether you want to be a DJ, then go do something else. Don’t waste your time, effort, or deal with the unlimited hassle of the lifestyle. 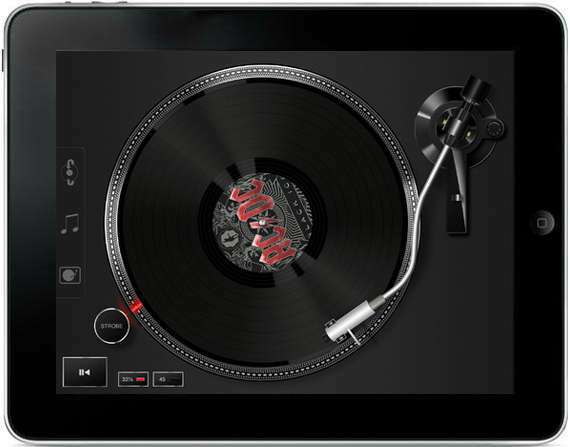 Download a fun little DJ app and have fun with your friends. If you are stubborn and still want to see if it is for you, throw a rock, you will hit a DJ, ask them if you can check out their gear and if they will show you a thing or two. Stroke his or her ego a little bit and you can guarantee they will give you some dedicated attention that you wont find in any classroom setting. If you know with obsessive certainty that you do want to be a DJ, invest that money you would have spent on classes and get gear. Then use that gear a lot. Play with it, explore it, record your work and listen to it. Go out, watch other DJs, watch videos, documentaries, absorb everything you can, and practice some more. If you want to DJ, you need to spend a lot of time on that gear, more time than what any DJ school will offer as part of their “curriculum”. Your desire to DJ should borderline obsession, not some casual hobby you want to do now and then. If you put in the effort that comes with obsession versus throwing a few bucks at a hobby, you will develop your own voice and your own style which is way more valuable than sounding like someone teaching at a DJ school. Don’t pay for what you can get for free, or could put toward the cost of your own gear. Another scam that preys on eager young DJs and producers are competitions. While some competitions offer some actual value to the participants, ultimately they are all asking a large group of people for free work. Even if there is a monetary prize for the winner, think of all the unpaid hours of work the host of the competition is receiving and is not accountable for financially. There is a wide spectrum of ethics when it comes to competitions; from the whole thing being rigged and there is already a winner in mind before it starts (which is more common than you may realize) to an actual weighing of skill and talent where someone will actually be awarded something for their efforts. Make sure you really look into the specs of the competition, never be afraid to ask questions. Never fall for any prize that is based on notoriety, there is no one gig or competition that will make or break you. Competitions are more about ego than anything else. Even in the best case scenario that your work is judged purely on its merit, who are the judges? Competitions are decided purely on a subjective basis (even with point-based guidelines) and are dependent on what the judges are feeling at that exact moment. This is of course assuming it is a judged competition and not a vote-based system which is nothing more than a popularity contest and has little to do with actual talent other than talent at self-marketing. Overall competitions aren’t inherently bad, just make sure the prize is something of actual value to you in exchange for your efforts and not just appealing to your ego with the promise of being your big break. There has been a disturbing trend of promoters expecting other people to do their job so they don’t have to. If you are looking for a non-headlining booking and the promoter asks how many people you will bring right off the bat, find another gig. Or at the very least arrange a deal to get a percentage of the door based on head count and have your own person at the door to monitor the numbers. Yes, a promoter should be concerned with how many people come through the door, but as a non-headlining DJ it isn’t your job to fill the club, it’s your job to play to the time slot you are in and support the vibe of the night. If you are being paid a flat rate, there should not be any major concern with how many people are coming to see you. That’s what the headliner is for. That is what the PROMOTER’S job is. Somewhere down the line the job of promoter has been confused with talent booker. In short, if you are going down the DJ or producer path be an educated consumer, think about what you are putting in, in relation to what you are getting out. If you are new you will have a lot of dues to pay as it is, don’t tack on unnecessary ones. Avicii recently came under fire after premiering some new music from his upcoming album during his set at Ultra Music Festival (UMF). Many complained it was an awkward and confusing session of country rock. Ultimately, it was by large not received well and it prompted him to respond to the criticism via his Facebook page. Defending himself, he claimed that people didn’t understand and that his upcoming album is not ‘country’ but rather “something fun and different” and that it is about “experimentation and about showing the endless possibilities of house and electronic music.” Did he make a career-killing move as many suggest, or is he right and people just aren’t getting it? Let’s examine. Avicii went wrong overall thinking he could go experimental after entering the industry via the Pop market. He speaks of staying true to his sound, which if was the case, he shouldn’t have tried to experiment. The Top-40 of any genre isn’t generally known for it’s uniqueness, but rather for the tried and tested mainstream sounds. 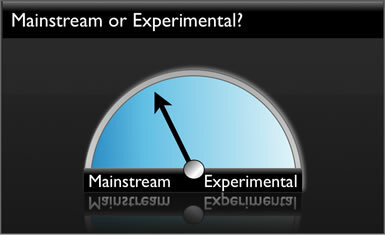 Experimental sounds are just that, they brave new waters, push something forward that hasn’t had mainstream exposure. UMF is a Top-40 dance music event, not exactly the best venue for something that isn’t mainstream. He would have been better off taking any experimentation to the Winter Music Conference pool parties, which historically are a good source to discover new sounds, ideas, and talent. Avicii made the mistake that many people make these days, thinking that if it is dance music it automatically falls to the underground. Long gone are those days. Dance music, for better or worse, has entered the mainstream. There is still plenty of underground music within the culture, but nothing that I have heard Avicii make would fall into the category. He entered the dance music industry consciousness through the mainstream, and he will need to stay there if he expects to keep the number of fans he has become accustomed to. People, by large, are resistant to change. Expecting them to be open-minded and capable of adapting to something they didn’t expect is an oft-made mistake. Avicii went wrong in thinking that people who spent a ton of money to see a Top-40 show would be open to something they didn’t expect. Had he previously spent some time in his career demonstrating an experimental side, or even producing a variety of styles, his attempts might have been better received. Instead, he built his name upon a single sound/style and that is what people now expect from him. Ultimately I applaud him for thinking outside the box, I hope he continues to embrace the experimental, we could definitely use more of it to prevent the inevitable failure of the scene we are currently facing. 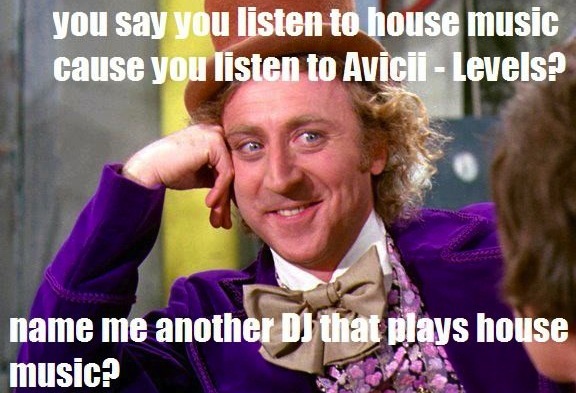 But seriously, Avicii, you have built your fans from the mainstream, kiss them good-bye if you step out. P.S. – Another common mistake that Avicii made, which is a bit of a pet peeve, just because your music is 4/4, don’t automatically call it House. 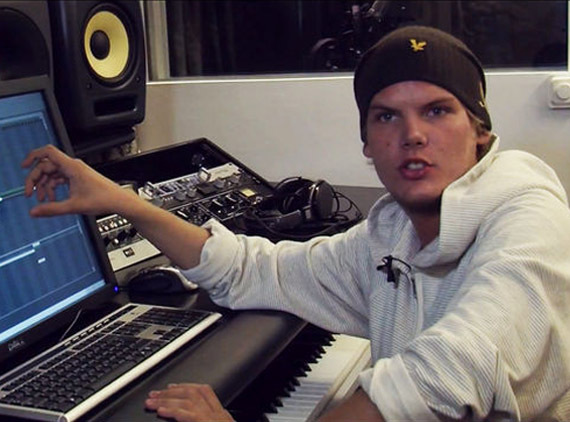 Avicii, more power to you, but your music is not House.